Favorite Fuzzes for Fender Blackface? Discussion in 'Effects, Pedals, Strings & Things' started by mikeyfam, Apr 19, 2016. Curious what your favorite fuzzes with Fender Blackface amps. Something that cuts through the mix live. I've had a Fulltone Tonebender, Analogman BC183, and MXR La Machine. Kept the Analogman so far. It sounds good but hitting the perfect volume/gain combo can be tricky at times. Thanks guys. I had an Analogman sunface with the nkt chip. Sounded amazing when it was dialed in. But it was too hard to dial in for me at gigs-very touchy. I think a lot of fuzzes are hard to dial in. Have you checked out the new Supro Fuzz? I love MJM London into Deluxe/Princeton. It's really different, but I love the Woolly Mammoth fuzz into fender amps. Look at Basic Audio fuzz though! You will definitely find something that will can cut a mix and be easy to control. Which version of the London do you have? I've heard tons of good things about the London fuzz in general. I've tried a Wren & Cuff Tall Font Russian through my Gries 5 - it was truly a thing of beauty, it's as if the two were voiced for one another! Muff style fuzzes have always worked well with my blackface DR clone. Much as I love Fuzz Faces I never managed to make them deliver "that sound" through such amps. mattymel and RYAN1987M like this. I always have a muff on my board for my originals band. I've been using the Hoof for a long time now, and the main amp I've been using is an EB Fullerton 2x10. It's like a vibrolux with switchable Tweedish and Blackfaceish tone stacks. The mid shift on it really lets it shine with Fender amps, works awesome as a low gain germainium sounding overdrive as well. There is a misconception that just about any fuzz is going to sound right STRAIGHT into a clean BF Fender. For me, a Strat straight in is ok sounding. But it still needs a foundation of some other dirt to sound right. I like any of the well known fuzzes before an Archer or Tumnus. 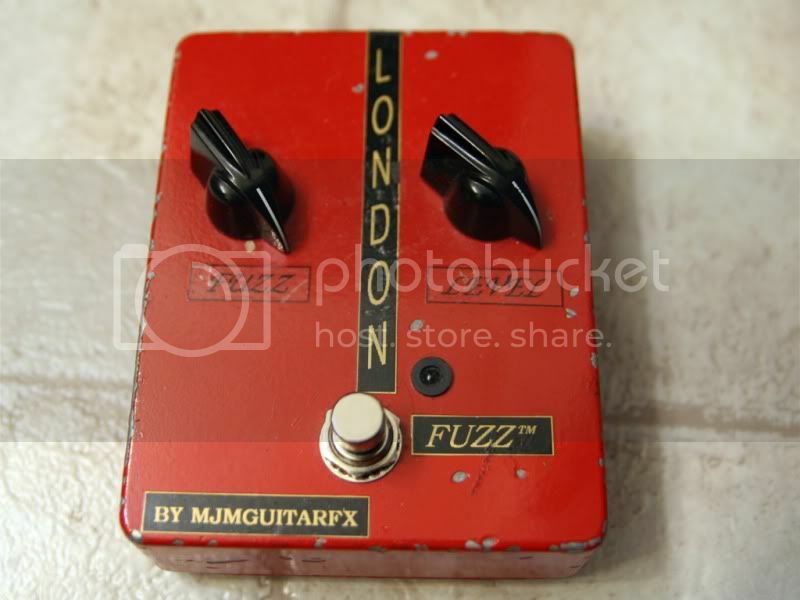 My personal fave with my BF Deluxe is the MJM London Fuzz. I have the red 2 knob version. Loves BF Fenders. I tried just about every single FF out there before I found a used London. The mini FF sounded awful unless you put an OD after. I'm using the London II, the germanium version. Mine doesn't look anything like the new ones, however. So is that an OLD London? I have what I thought was an old one (2 knob). I think I have seen newer 3 knob Londons as well. Wondering when MJM is going to get back in the game. Great sounding stuff. Some fool sold mine to GC. I got it for $75. I have a 67 BF Super Reverb and so far the best fuzz I've found with it is the Analogman Astrotone. It sits perfect in the mix live. I was thinking about getting one of those or a Peppermint Fuzz. Ive not found a fuzz that doesnt work in some capacity into any of the blackfaces or clones that Ive owned. Some like to see a Honey Bee OD (or whastever od you prefer) in front of them, others dont need that. Just depends what sound youre going for. I just received a (used) sunface NKT275 and its stellar sounding, although I imagine like a lot of Fuzz Faces, it could get lost in a mix. My Chase Tone blue stardust is a Sililcon FF variant, and can be as cutting (or not) as youll ever need. Just sorta depends what you want? I wasn't happy with ANY fuzz pedals into a sparkly clean Fender until I put another low-gain drive pedal in between them. I've had good luck with both an Xotic SL Drive and a TC Mojomojo as a darker low-gain base tone for fuzz pedals. Big Muffs work really well into Fender amps. I like the sound of a Tall Font/Civil War Muff into a clean Fender the best. jm9239 and RYAN1987M like this.